One of the great things about the Signal platform is its real-time ability to monitor and take action on consumer behaviors. It takes less than a second for a consumer behavior on a website, mobile device, email, or ad unit to stream into our user interface. 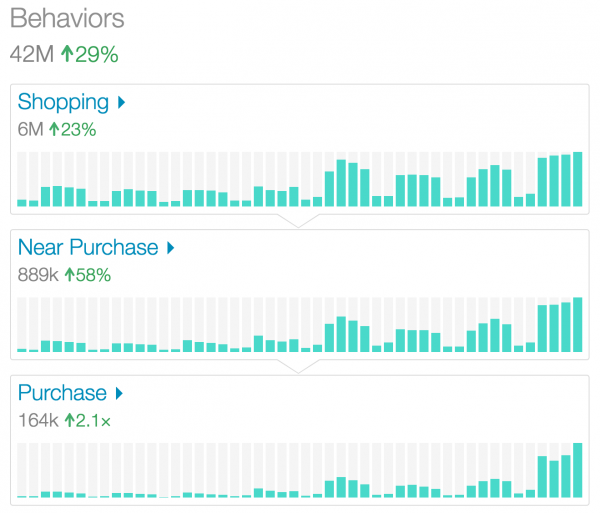 You have a bird’s eye view of how customers are shopping as they shop. 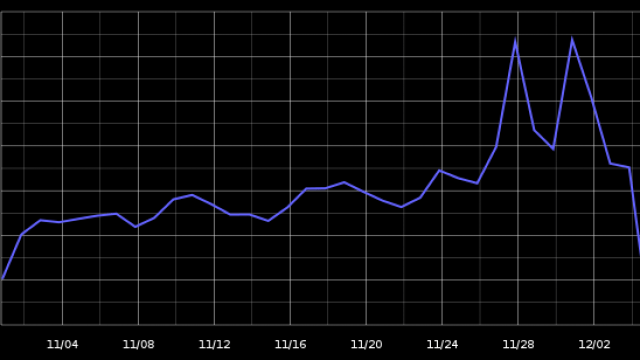 Below is a screenshot of a funnel as consumers streamed through at much higher rates than normal during Black Friday. 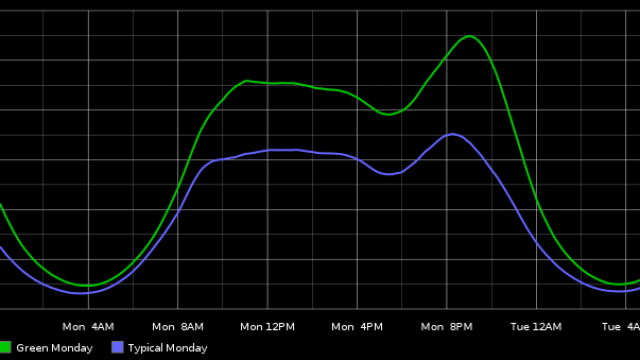 As consumers visit our client sites, Black Friday and Cyber Monday create a giant spike in traffic that resembles Batman’s ears. 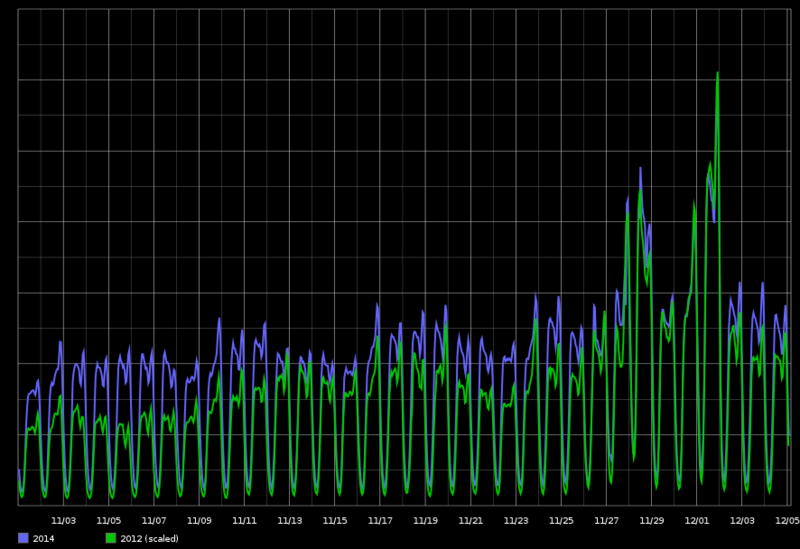 Our architecture handled the traffic like a champ throughout the heaviest periods. This graph shows data from our clients in the eastern half of the U.S.
With the holiday shopping season starting in early November for the past two years, marketers have been predicting an extended shopping window. We can see this trend in one of our traffic graphs below, which compiles the traffic for all Signal customers in the eastern United States. 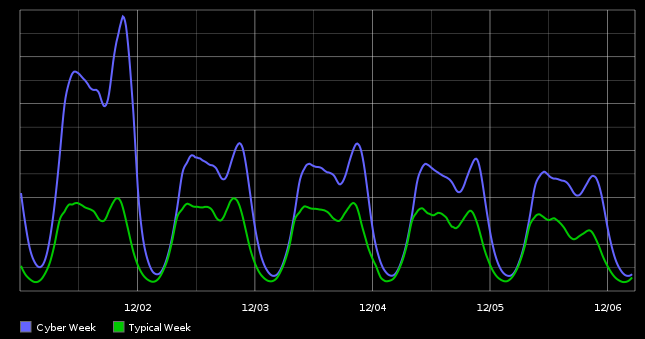 Black Friday and Cyber Monday in 2014 appear to have less traffic relative to the surrounding weeks compared to prior years. Unlike the last two years, the big 2014 trend wasn’t starting the holiday shopping ramp-up even earlier, but extending it. This resulted in the so-called Cyber Week, starting with the original Cyber Monday, shown here. 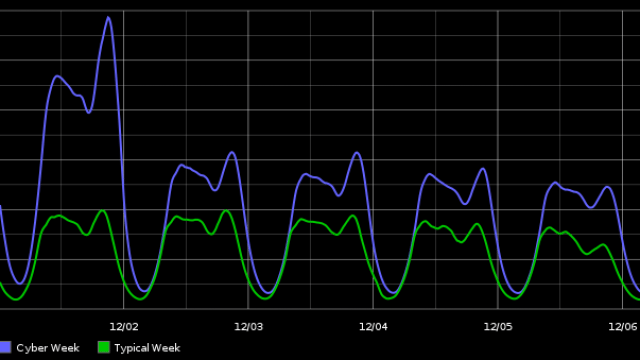 As you can see below, traffic remained much higher throughout Cyber Week than during a typical shopping week. Although this was a well-anticipated trend, we didn’t see a spike in activity for the accompanying “Green Monday” that was predicted to come on December 8 this year. Green Monday is said to be the last day that online shoppers can order gifts to arrive by Christmas without paying extra for expedited shipping. 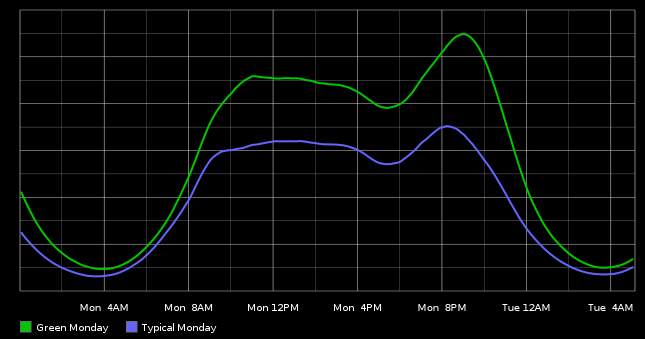 Here you can see Green Monday versus a typical Monday. While this is definitely elevated from a typical shopping day, it doesn’t seem worthy of being a named shopping holiday…yet. Perhaps an easier way to see this shifting shopping norm throughout the month is to compare Black Friday Week to the weeks prior. Putting aside the Thanksgiving and Black Friday holidays, the week before Black Friday Week saw as much traffic as Black Friday Week itself. 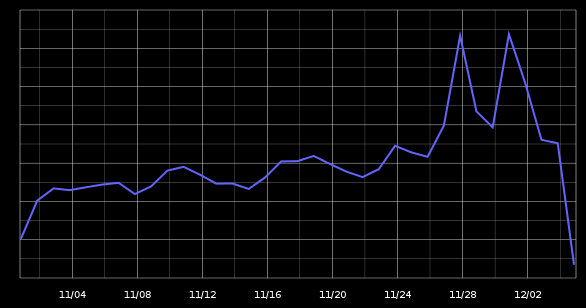 As shown here, the weeks leading up to Black Friday Week also saw elevated and growing traffic in anticipation of the big shopping days. 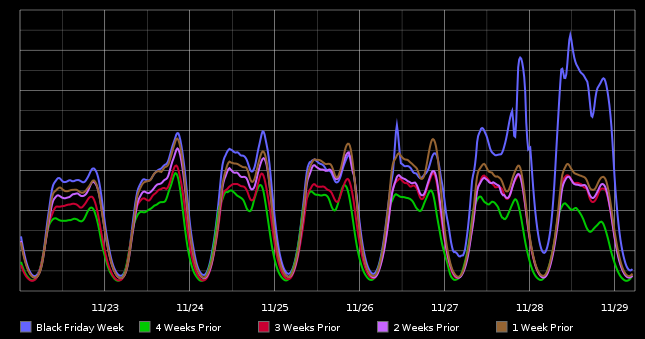 The holiday season was a great one for our clients and Signal. We can’t wait for next year! Cody Ray is a dev-ops engineer at Signal.